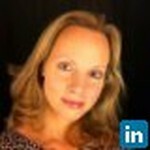 Agne Almroth - Looking for an exciting job within communications and customer service. Looking for an exciting job within communications and customer service. As a Quality Manager I had resposibility for service improvement implementation, customer documentation updates, worked with the Net Promoter Score program, used various CRM systems. Being responsible for the service quality I took care of the following: initiated improvements and process/ routine/ system changes based on customer feedback; worked with the customer satisfaction program - Net Promoter Score - customer surveys and feedback results, did KPI monitoring and reporting. Also monitored service performance according to SLAs using Oblicore. Have driven internal promotional campaign to increase awareness of NPS program. Have written and updated many customer communication documents. Learnt the specifics of the business within the hospitality industry and customer service sector. Learnt to organise events. Meanwhile worked at the restaurant that was awarded "The best personnel". I have a great interest in communications and webdesign. Join Today to follow and contact Agne Almroth.